In my opinion, the best reason to achieve Delta status is that you’ll get access to complimentary upgrades to First Class when flying domestically. But earning Delta status can be difficult for many people that don’t fly every week. However, there are many opportunities to earn Delta status without flying. You can earn Medallion Qualifying Miles (MQMs), one of the two ways you can earn Delta’s status (other is by flight segment number), by renting a car, staying in a hotel, or simply picking up a Starbucks coffee on a new credit card. First of all, it is important to know what the thresholds are which will give you Medallion Benefits with Delta Status. And don’t forget, that any MQMs over the last threshold and before the next will automatically be rolled over for next year’s elite qualifying threshold. Hertz and Delta are (no longer) offering 250 MQMs per Hertz rental of 3 or more days. You’ll earn 250 MQMs, 250 bonus miles and 200 bonus miles per day (100 for non Medallion members). This promotion runs through November 30, 2012. The promotion requires the renter to use the CDP #165385 and PC #175512 numbers with Hertz rentals. When you sign up for the Hilton bonus MQM offer, book and stay 2 nights you’ll earn 250 Medallion Qualification Miles. This promotion runs through December 15, 2012. You must have Delta selected as your airline double dip partner in your HHonors profile. 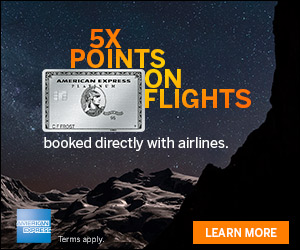 If you are looking for extra Delta MQMs, also consider the Delta Reserve one of many Delta Credit Cards from American Express. The card comes with 10,000 Medallion Qualifying Miles after your first purchase, complimentary SkyClub access, first bag checked for free on every flight, and 20% off in-flight food and entertainment. 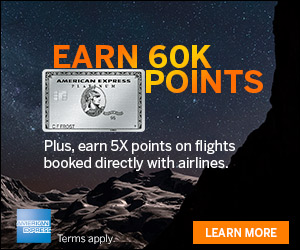 On top of the 10,000 MQMs, you can earn an additional 30,000 MQMs with Miles Boost after hitting spending thresholds on the card. There are many ways to earn Delta MQMs right now without flying. If you plan to take Delta flights next year, Delta Medallion status can offer complimentary upgrades among other benefits. Make sure you take advantage of the offers that make sense to you and you could be on your way to flying in First Class. This also works when upgrading your current AMEX Delta card. I just called and upgraded from Delta Platinum to Reserve. 10,000 MQM for $450 is 4.5 CPM without flying! That’s before you factor in upgrade priority, companion cert, sky club access, and other benefits! 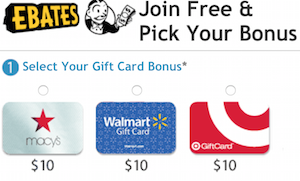 There aren’t “many” ways to earn MQMs, there is really only one main way (AMEX); otherwise, the Hilton and Hertz promotions seem to be one-offs with little reward. To be use the USAA CDP. If we could get the MQMs with just our FF number and use other sodes, then the offer would be much more attractive. I just called about upgrading my Gold to Platinum or Reserve and I was told that I would not get the “welcome” benefits. Yes, like Mike said…. Upgrading Gold to Platinum WOULD get you the MQM’s, but IF YOU HAVE GOTTEN MQM Bonus within 24 months from AMEX (maybe last year, when you got the platinum cart)– you would NOT QUALIFY. I have a Delta Platinum AMEX that gets me 10K MQM with $25K spend. I just recently got the Delta Business Reserve which gets me 15K MQM with $30K spend. I’ve had a Delta Reserve personal card for a few years and wonder if I apply for and receive the Business version if the MQM intro bonus will be awarded. The wording on the website is confusing is about this.